With Dubai Shopping Festival 2011 approaching, My Dubai Stay – Dubai’s premier Apartment Rental Company has added new fully furnished apartments to its rental portfolio and plans to add more owing to the increasing demand. Extremely popular among short and long term Dubai travelers, My Dubai Stay's holiday apartment portal offers a wide range of apartments that are ideal for families, couples and business travelers. These Dubai short stay apartments are an ideal alternative to Dubai hotels and aims to please you and your pocket. All these newly added Dubai serviced apartments offer standard facilities that you would normally find in a Dubai Hotel such as swimming pools, gym, saunas, steam rooms, even children's play areas and not to forget the breath taking views of Dubai. The newly added one bedroom Dubai rental apartments are located at the prestigious locations of Dubai including Jumeirah Beach Residences, The Palm Jumeirah, Dubai Marina and Downtown burj Dubai. Enjoy the cool breeze of the sandy beaches of Dubai and indulge in the beach lifestyle by going for surfing and scuba diving. Marvel at the sight of superbly maintained gardens and well-manicured lawns or simply go out to a wide range of restaurants, sports complexes, play areas and health clubs. Offering you a large collection to choose from the newly added 2 bedroom apartments are located at Palm Jumeirah Marina and Jumeirah Beach Residences. The apartments are an ideal choice for all those who are looking for the superior comforts of a hotel along with the independence, space and flexibility of their own place. Experience the majestic sea views of Dubai without leaving your apartment. Our newly added Dubai Furnished Apartments are located at Palm Jumeirah Marina, Jumeirah Beach Residences and Dubai Marina. These apartments offer ample space for up to 9 persons and is perfect for short or long Dubai stay. 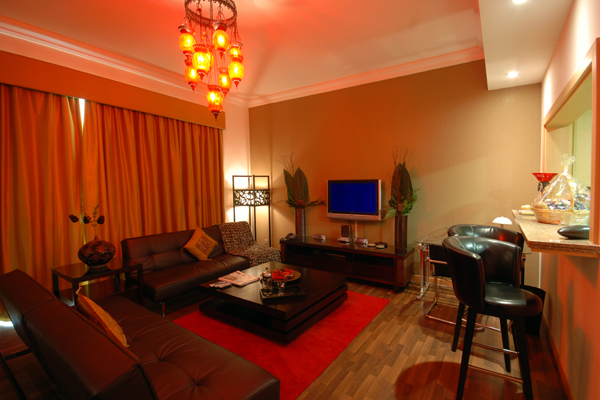 So don’t delay book your Dubai self catering apartment now and experience a life of luxury and comfort. Visit our Dubai Accommodation page for instant booking.